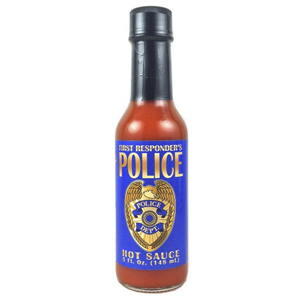 First Responder's Police Hot Sauce celebrates our men and women in blue, and their sacrifice to protect us on a daily basis. This sauce is the perfect gift for him or her, to say thank you!! Mo Hotta Mo Betta's Fire Roasted Habanero Hot Sauce has great flavor! Nothing is more flavorful than fire roasted habaneros combined with the freshest ingredients to create such a versatile hot sauce! The heat from this sauce will build in your mouth and leave you with a pleasant taste of garlic and other spices. Mo Hotta Mo Betta's Fire Roasted Habanero Hot Sauce is a flavor king! Now offered in a gift box are the four best selling Mo Hotta Mo Betta sauces. With a variety of heat and flavor, this collection is the perfect gift for the food fanatic in your life or just go ahead and spoil yourself!!! You deserve it! Collection includes our Red Savina Habanero, Fire Roasted Habanero, Cayenne Garlic, and our Chipotle Adobo hot sauces. Great gift !! The Red Savina Habanero pepper is touted in the Guiness Book of World Records as "the hottest pepper in the world". With such a distinction we figured this incendiary chile was worth basing a hot sauce on... and here it is! This sauce is not for sissy-lips. Pour with caution - this tropical blend has a hurricane force. Straight from the fields in Vidalia, Georgia comes a hot sauce with heat and sweet. With chunks of the world famous Vidalia Onion™t, this sauce is blended with cayenne peppers and fresh ingredients to create a great, new flavored sauce to use in your marinades, put on your sandwiches or just to guzzle down!